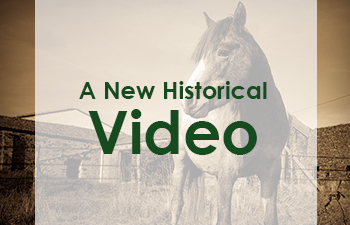 The Sewickley Heights History Center will be presenting a lecture Wednesday, April 8th at 7pm called the “History of the Horse” that will be available to patrons to view in our theater for years to come. Richard Smith will be presenting the lecture and video. Please join us for an informative evening of history and community. Beverages and snacks will be available before and after the lecture. Thank you for your continuous support of the History Center and we look forward to seeing you! https://sewickleyheightshistory.org/wp-content/uploads/2015/03/SHHC-Horse.jpg 225 350 Jason Thompson https://sewickleyheightshistory.org/wp-content/uploads/2013/04/SHHC-Logo-01-300x137.png Jason Thompson2015-03-26 10:12:232019-03-22 13:57:02SHHC Presents "A New Historical Video"